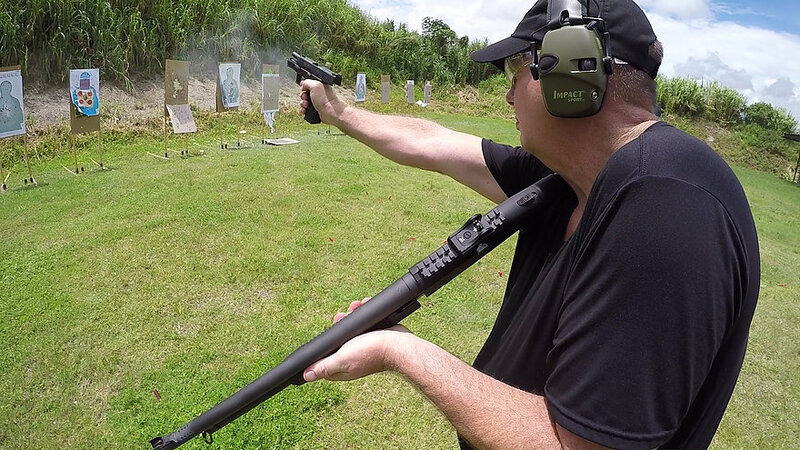 Learn how to use your shotgun efficiently and effectively. For available times, please check Google Calendar below. This Defensive Tactical Shotgun Training Class is designed to impart the knowledge and skill set necessary to use a shotgun for purposes of self defense in situations where lethal force is necessary to protect the lives of your family and yourself. This shotgun training class begins with safety and weapon familiarization. Gun safety is ALWAYS a priority. A well maintained gun is a safe gun, and thus you will learn proper maintenance and care of your weapon. WATCH as these, Miami, Broward, West Palm Beach, Boca Raton, and Palm Beach County students practice shooting, moving, loading and unloading their shotguns in both stressful and non-stressful situations. Ballistics various sized shot and slugs. This Defensive Tactical Shotgun Training Class is designed to impart the knowledge and skill set necessary to use a shotgun for purposes of self defense in situations where lethal force is necessary to protect the lives of your family and yourself. This GROUP Defensive Tactical Shotgun Training Class is designed to impart the knowledge and skill set necessary to use a shotgun for purposes of self defense in situations where lethal force is necessary to protect the lives of your family and yourself.